No worries, I'm not sure if the episode has even aired yet. I've had this info spoiled to me anyway by pony society FB groups, so you didn't do the job for me. Just that other bronies here might be spoiled, although I think I may a bit alone here with regards to this fandom! And the DK movie; the Legend of the Crystal Coconut was just four episodes stuck together and called a movie. Yes! That's the title! I thought it was very episodic as a kid, and my suspicions have now been confirmed by you. Haha, good times, my sibs and I watched that "flick" a couple of times, it was very funny to us back in the day. Wow, that's some impressive animation, even if the action is mundane! Did you do in this Flash? How did you get it to loop (No need to give a tutorial, just a one-sentence explanation to satiate my curiousity. Unless of course, you're free enough to actually write a tutorial, just sayin', haha)? And thank you! Actually, I animated it in Photoshop. Photoshop's added feature of layers makes animating a lot more easier than doing so by hand, to me at least. And it has a nifty 'animation' feature as well (that takes a lot of practice to use well, btw) so I'm good! ObsessedWithPixar: Thank you too.~ And you should! The DK cartoon is so terribly underrated. ;_; All episodes are on YouTube in English, as a matter of fact, and only recently all in good quality as well. YouTube users DonkeyKongCentral and Ness682 have them all, the former being the only one to have uploaded some of the most rare episodes in good quality so far. The first few episodes are a bit awkward but later ones are very good! Sorry, I ramble when it concerns Donkey Kong Country. Here's a little crossover I drew. I could make something for on a shirt of my own at the place I'm working as an intern at (they make shirts and stuff and I get to draw everything!) and I really wanted something Donkey Kong Country or Regular Show. Couldn't make up my mind. 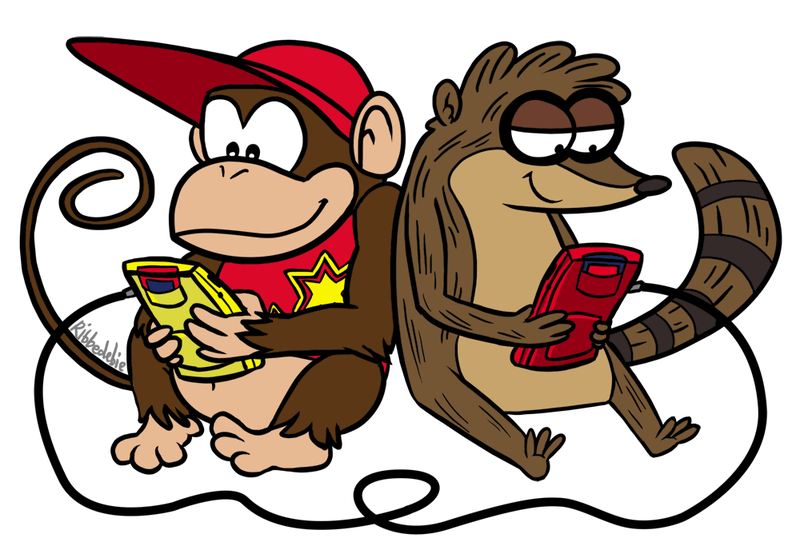 Thus, Diddy Kong and Rigby playing Game Boy Color with a link cable. Actually, I animated it in Photoshop. Photoshop's added feature of layers makes animating a lot more easier than doing so by hand, to me at least. And it has a nifty 'animation' feature as well (that takes a lot of practice to use well, btw) so I'm good! Ah, so you did it on Photoshop, I have an inkling of how you might've done it! I may have used the same technique to do my animated sigs (if you've seen them). Still on CS3, though! Gotta look up that channel and watch DK when I have the free time. For nostalgia sake! I'm a huge fan of crossovers, so that image is right up my alley! While I didn't own a Gameboy Color (although I asked for one as a kid), I "inherited" a GBA from my younger brother (yeah, it's a hand-me-up, I guess). He also had an SP, although I don't know whether he knows where he put it, since we both play on PSP 3000s now. Does your company do T-shirts for overseas customers? Or do they have a website? It's really cool that they've commissioned your designs! I'd probably buy one if I can find a design of yours I like at the right price. Concerning the DK show, that's great to hear, Badger! Anyway, your latest piece here? It's adorbs! That's cool that it'll be your own awesome shirt design! ObsessedWithPixar: Thank you, and I already made it a shirt. It's cool. x3 And yeah, you should totally watch the show if you have the chance. It's the best. Oh, I could also just show some of the things I made at my internship, of course! 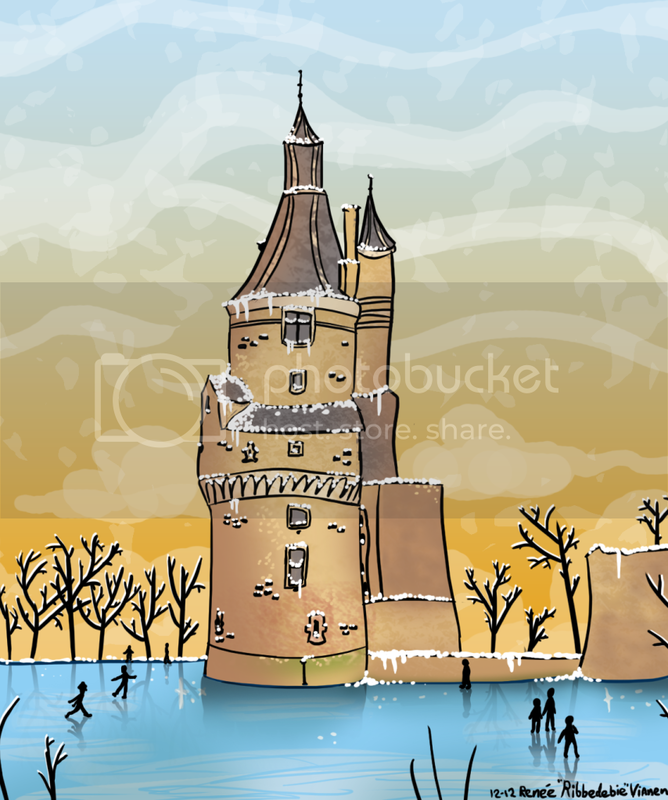 A certain castle here in the Netherlands I drew for holiday cards. People loved it, and I'm glad! I don't usually draw things like this. 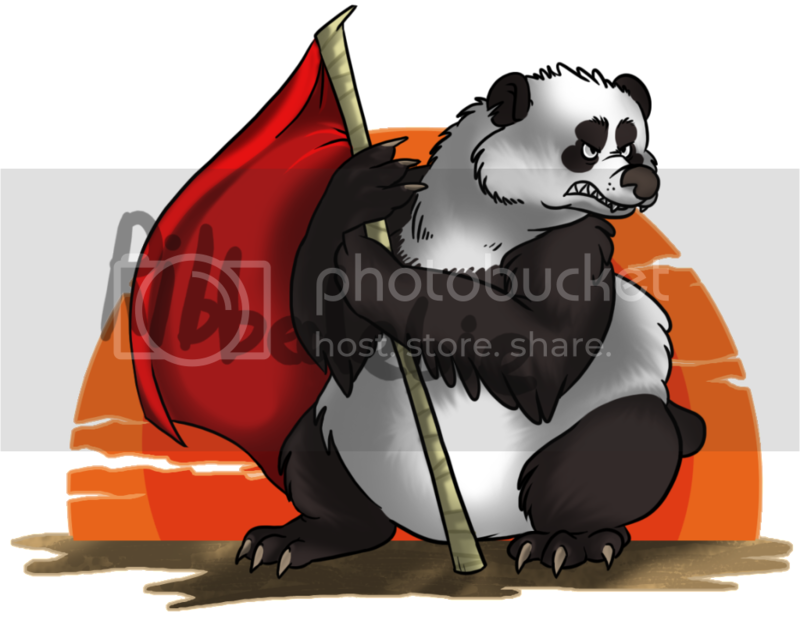 And here's an angry panda bear with a flag I drew for someone's T-shirt. He too was happy with it and so was I! ...Pandas are really hard to draw not-cute. Obviously, the real thing didn't have the watermark. I really like the way you draw Regular Show characters! You adapt them into your drawing style so smoothly, and you make them very cute and expressive. Love that castle and the panda, too! I am envious of your ability to color fur. Thanks Badger! Lemme know their reply about overseas shipping. Do you do requests, trades or commisions on deviantART? I looked at your profile page but there's no mention whether you do so. If I think of a design I would like to do, perhaps I PM you? Haha, I see your name in the holiday card picture! The panda pic is real cool too, although I think it'd be 20% cooler if the panda had a hat and a cape like Po or something. 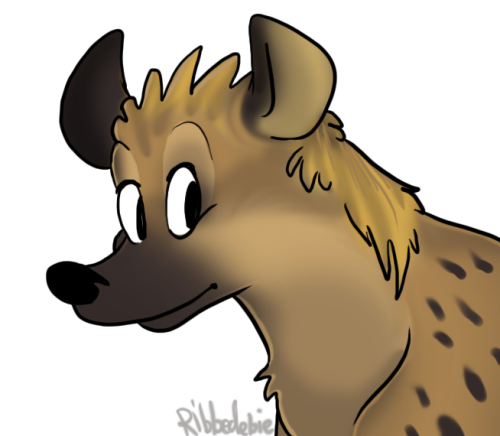 Here it just looks kinda weird cos' it looks so realistic, yet it's holding a flag like an anthro. Other than that, good inking and colouring! TDIT: Well, I asked, and they're fine with overseas shipping, as long as you also pay the shipping costs, heh. And yeah, I take commissions, though I have yet to declare so officially. (I must do so soonish though, because I kinda made a bet with my dad that I can finish a commission in a month. And I need money because I just blew 50 euros on deluxe talking plush versions of a certain blue jay and raccoon. ) But sure, you can send me a PM and I'll see what I can do! I also take art trades but I'd rather take commissions right now. I draw nearly anything except realistic humans or robots, adult material, and anything that promotes hatred. Oh, and thank you!~ Yeah, I'm aware that the panda looks a bit odd, I was really unsure if I wanted to make him realistic or anthropomorphic. Anyway, another thing I drew for my internship. 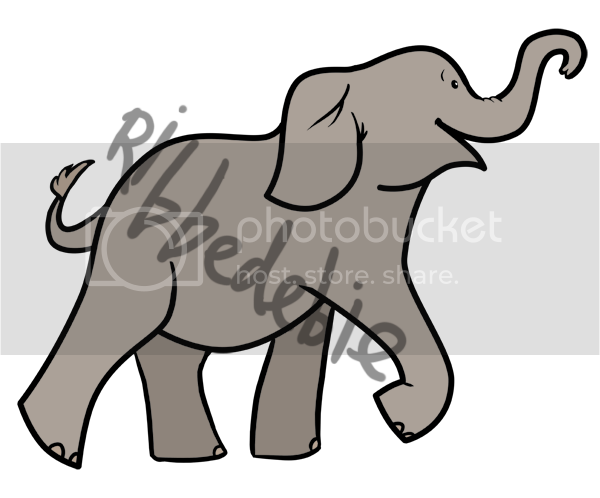 A bunch of cartoony elephants for someone. (Still dunno which one they'll choose - I'll hear next Wednesday. I also get interviewed that day and I'm so excited!) The first one was done from memory, while the others were done after I looked up some references. Also, to top it all off; here's another Regular Show/Donkey Kong crossover. More silly than last time, since it's just Diddy and DK in the cartoon's style. xD I doodled this one a few hours ago. 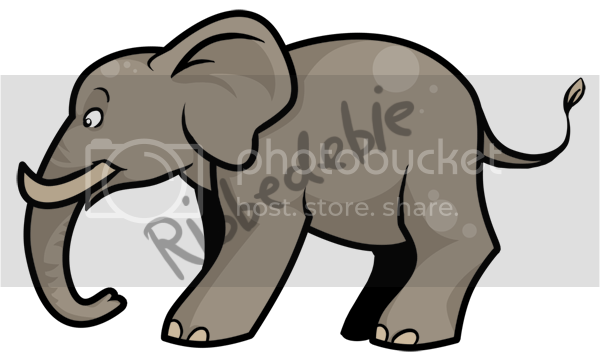 The elephants turned out adorable! 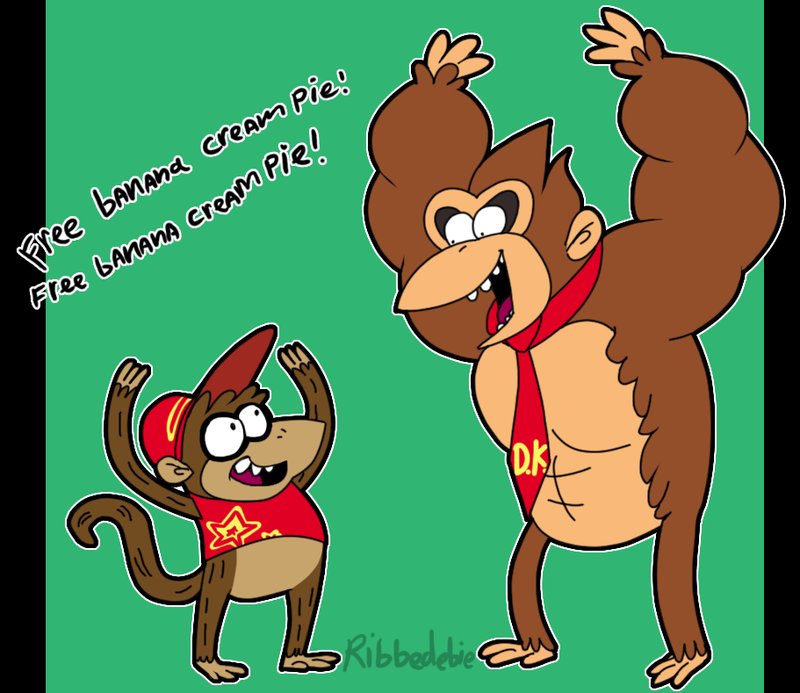 And that Regular Show/DK crossover is so ridiculously fun! Your art made me smile today for sure, Badger! 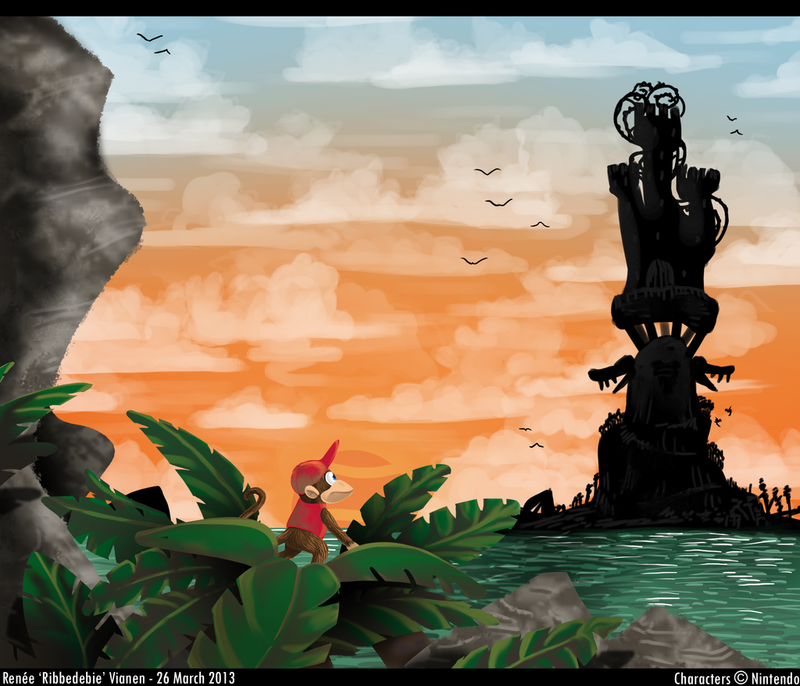 A detailed Donkey Kong Country 2-inspired drawing I made yesterday. Listening to Disney's Tarzan's Two Worlds in Flemish and Dutch inspired me! 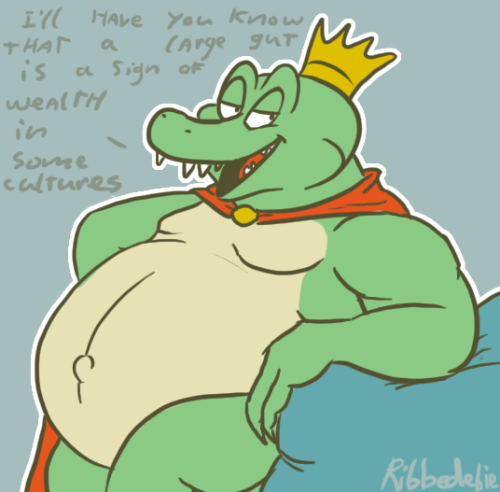 It is King K. Rool! Been a while since I'd drawn him so I drew him. Er, yeah. 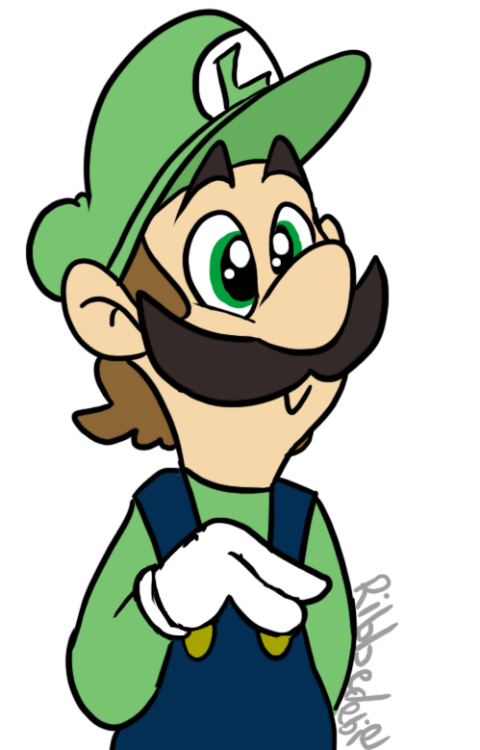 Luigi, from the Mario games. Brings me back, you know. I used to draw him all the time. 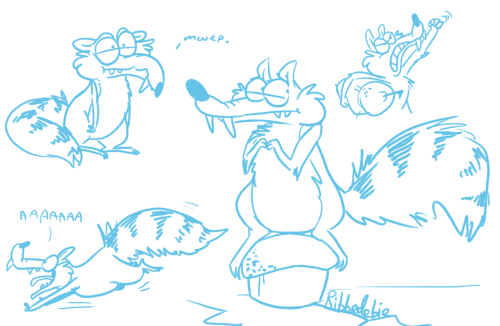 Some doodles of Scrat, the lovable saber-toothed squirrel from the Ice Age films! Okay, I admit I haven't seen the new Littlest Pet Shop cartoon yet, but I just might, and only because of Pepper. I have a thing for skunks as you all might know and seeing one that's not just a silly stereotype is just really cool! Another silly cartoon I've been watching recently! Well, yeah, that's all for now! They're all so much fun to look at, Badger! Your art has a very distinct skill for catching my eye whenever I scroll past it. I like how each picture is uniquely colored from the others. 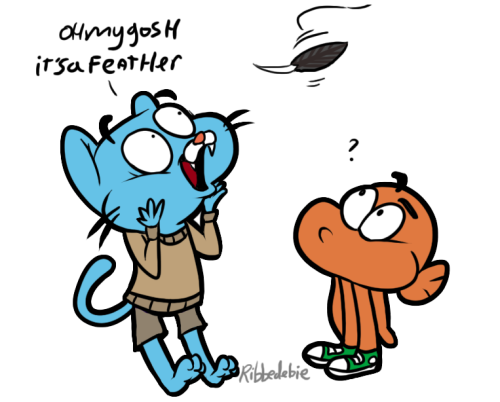 I watched Gumball's pilot, can't say it grabbed my attention enough to warrant watching future episodes (I don't understand how his parentage works, although I'm not sure if I'm supposed to seeing how random most of the episode was!). But I like the mixed-media design, it reminds me of Chowder. As for Pepper, it's funny you drew her, seeing she's my favourite LPS character (I'm not kidding, go and check my deviantART, I made a separate folder for her alone, although I plan to add the rest of the gang when I find good artwork of them). My only criticisms is that she has a white belly and a smaller nose (unless she's wearing a rubber clown nose?). If you love Pinkie Pie from MLP, Pepper's in a similar vein (her voice actress is Rarity's, and a lot of the MLP cast voice LPS characters as well). Her ambition is to entertain others with jokes and slapstick, and she fashions herself as a stand-up comic. 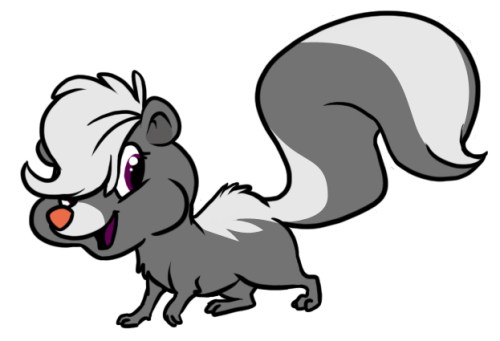 Granted, the skunk's a "clean" comedian, since it's a kid's show, but her attempts to get a laugh are endearing. I'd say LPS has a more sitcomy-vibe than MLP's epic fantasy, but I still recommend it. I've been watching an episode every one/two nights for the past few weeks! Oh, and watch Pepper's "stink trail" whenever she feels a strong emotion. It's the visual equivalent of a mood ring!